Self-Insurer Contributing Author David Kirby sat down with SIIA President & CEO Mike Ferguson for a wide-ranging interview to talk about how the association continues to evolve and play an increasingly important role in helping its members be successful in the selfinsurance marketplace. David Kirby: So letâ&#x20AC;&#x2122;s jump right in. Why do you think it so important for companies involved in the self-insurance marketplace to be SIIA members? Mike Ferguson: I think SIIA is doing some very important work to promote the expansion of this marketplace, while fending off regulatory threats affecting our members in various ways. Of course, our ability to effectively execute this mission depends on a growing and active membership base. SIIA members are always the first to learn about important industry developments and we consistently deliver important informational and educational resources through a variety of formats from a monthly magazine, multiple educational conferences and various social media platforms. I should also point out the networking value of SIIA membership. Our industry is really relationship-driven and most of the major players are highly active in our association. Itâ&#x20AC;&#x2122;s really hard to count the number of members who have told me they have been able to build highly successful businesses thanks in large part due to the connections they have made through their SIIA involvement. I obviously love hearing these stories and they are great to share with potential members. DK: How has SIIA responded what has seemed to be a growing number of legislative/regulatory threats at the state level? MF: We concluded a few years ago that legislative/regulatory threats coming from the state level would likely multiply and we were under-resourced to effectively respond. Our response has included the hiring of an in-house state government relations director and then retaining contract lobbyists in specific states where needed. We currently have four lobbyists on retainer in various states and it is quite possible that we may add additional lobbyists in 2018. And when all else fails, we are not shy about pursuing legal challenges in response to state laws affecting our industry. DK: Let’s pick up on your comment regarding legal challenges, as I believe SIIA concluded some important litigation earlier this year. Can you provide some details? MF: The association had been fighting the state of Michigan in federal court over that state’s Health Insurance Claims Assessment Act, which we believed should be preempted by the Employee Retirement Income Security Act (ERISA). Our view has been that this case has broad ramifications, particularly for multi-state self-insured employers, so SIIA took a leadership position once again in order to protect the self-insurance marketplace. Unfortunately, the U.S., Supreme Court declined to hear our case upon appeal so we were not able to prevail this time, but no other industry group was willing to take up the fight despite many such groups telling us they supported our efforts. It was a disappointing outcome, but we will continue to monitor ERISA preemption development and stay engaged where necessary. In addition to this current ERISA preemption challenge where SIIA is the lead plaintiff, the association had also filed an amicus brief in a separate federal case concerning captive insurance arrangements. Our brief provided the court a more specific understanding of how and why captives are used, which has become increasingly important given heightened IRS scrutiny of these alternative risk transfer strategies. While the court ruled against the captive insurance company last month, our policy arguments were not rebutted, so this brief may have served a useful purpose going forward. DK: You have commented publicly on several occasions about how important it is for SIIA to become more a major player in terms of political contributions. Can you elaborate a bit on why this should be such a priority and any progress that has been made to move in this direction? MF: I have actually been saying this for the past several years and this objective has continued to move up the list of association priorities. There are two primary reasons for this prioritization, with the one reason being fairly obvious for most members, with the second reason less obvious for those who are not creatures of the DC lobbying world. The obvious reason, of course, is that it is much easier to make and keep friends on Capitol Hill if you provide financial support for their campaigns. This does not mean that if you contribute to a specific member of Congress that they are certain to vote a specific way, but it’s certainly easier to get a meeting with the member and/or their senior staff to explain your issues. Not so obvious to those outside the beltway is that when an organization establishes itself as a political financial player, it raises your “street cred,” so to speak, with other important organizations in town that we may need to partner with on various lobbying efforts. In this regard, I am pleased to report that SIIA is now well positioned with some of the powerful associations in DC, including the U.S. Chamber of Commerce, National Association of Manufacturers, and at least one major union organization. Our progress has been somewhat slow but steady since we established the SelfInsurance Political Action Committee (SIPAC) about six years ago as a vehicle for SIIA members to channel political contributions to key members of Congress. Things have accelerated this year thanks to this more dedicated focus combined with increased staffing resources and you are now starting to see SIIA really establishing itself as a money player in DC. Obviously we are not the biggest player by any means but it’s solid progress that is sure to greatly assist our advocacy efforts. DK: We’ve been seeing updates about how successful SIIA has been in securing media placements highlighting the positive aspects of self-insurance and/ or captive insurance. How has the association been able to move the needle on this? MF: I can tell you this has been a very deliberate process, which started last year with SIIA retaining a top-notch public relations firm, specializing in media campaigns and issue advocacy to help us tell the selfinsurance story. Since that time we have been working with this firm to craft specific messages that can be pitched to the media. These have included general informational pieces about self-insured health plans, as well as op-eds focused on specific legislative and regulatory developments at both the federal and state level that affect our marketplace, More recently, we have proactively engaged our members to assist us with this media outreach effort by identifying employers who have had positive experience with selfinsurance and/or captive insurance to serve as interview sources for potential stories and to identify interesting industry trends. This collective work has resulted in media placements in several leading publications including The Wall Street Journal, USA Today, Investors Business Daily, Philadelphia Inquirer, The New York Post, The Pittsburgh Post-Gazette and The New Jersey Star Ledger. SIIA and self-insurance was also featured in multiple radio interviews over the past year. The collective readership reach just this year is estimated to be more than 75 million, so our story-telling efforts are having real results. Going forward, we hope to advance the discussion in the media to highlight how most of the innovation in health care cost containment is coming from the selfinsurance world. Separate pitches are also being developed to highlight how captive insurance is solving many critical risk management needs of mid-market companies. program format content will be completely new and fresh. Keeping with a Latin America focus, the International Conference will move to Monterrey, Mexico April 17-19. This is a truly world class city that has direct flight service from many major U.S. airports. I was fortunate to visit Monterrey last month and know that our attendees will really enjoy this location. We’ll then be returning to the Charleston Place Hotel May 15-17 for the Self-Insured Workers’ Compensation Executive Forum. This is a creative event with content and networking opportunities valuable to those involved with both single employer workers’ compensation programs as well as group self-insured workers’ compensation funds. A second SIIA event will be held outside of the United States on June 5-7 in London, when we have scheduled the Transcontinental Self-Insurance Symposium. Given Brexit and other related developments in the UK and EU, we thought it would be very timely to convene thought leaders to discuss implications for the self-insurance marketplace on both sides of the Atlantic. Then to finish up the year, we’ll be returning to the J.W. Marriott in Austin, TX on September 23-26 for our National Educational Conference & Expo. This was a new location for us last year and we received very positive feedback from attendees so we look forward to getting back there for the world’s largest self-insurance industry event. DK: So the association has its big National Conference & Expo coming up soon in Phoenix. Are there any particular highlights you would like to preview? MF: We think it’s going to be a really great event. The program will feature two keynote speakers, nearly 40 breakout educational sessions and the industry’s largest exhibit hall. We are back at the JW Marriott Desert Ridge Resort & Spa, which is a member favorite, and will conclude the conference with what promises to be an unforgettable party event. DK: What does the SIIA conference schedule look like for 2018? For more than 16 years we have been a trusted source for your Stop Loss needs; Helping business maintain profitability with customized Stop Loss products and cost containment services. sense to have a single membership category, so we have created multiple membership categories with different dues rates and benefit packages. This has enabled companies to plug into SIIA at various entry points. With regard to the increase in higher level membership, I think the bigger companies in our industry like what SIIA has been doing and would like to see us continue to “scale,” to put in growth company terms, so that we can further promote and protect their business interests. DK: SIIA has held some high profile International conferences in recent years, most recently in Costa Rica, Panama and Puerto Rico. With Monterrey, Mexico now being added to the destination list, what’s the strategy behind this? MF: We recognize that the insurance industry, like many other industries, has become increasingly global in nature and an increasing number of our members have told us they are looking for new business opportunities outside the United States. In this regard, SIIA believes it can play an important role of helping members identify these opportunities and facilitate the necessary business connections to take advantage of these opportunities. We have decided to continue to focus on Latin America due to the geographic proximity and the fact that there is an uptick in interest in self-insurance and/or captive insurance from multiple countries within this region. DK: How do you view SIIA’s role in the captive insurance space and why this membership constituency appears to be growing fairly rapidly? MF: My view is that SIIA is playing a very unique and useful role in the captive insurance space in that the organization is actively integrating industry stakeholders into the much broader self-insurance world. This is important because mid-market employers are becoming increasingly sophisticated in how they manage risk and understand that they can integrate multiple self-insurance strategies, which may include the formation of a captive insurance company. SIIA brings this all together, giving captive insurance professionals more educational and networking resources. very preliminary discussions on this with our counterparts in the hospital industry and hope to be able report back to the membership in more detail in the first or second quarter of next year. DK: There certainly sounds like a lot of exciting things going on at SIIA. What advice would give industry executives who want to become more active in the organization? MF: Well of course, become a member if you are not already. Showing up at association events is a big deal because SIIA is a very interactive and social organization and there is no substitute for being there. We also recruit members to serve on our various volunteer committees and participate in periodic grassroots lobbying campaigns, which are great involvement opportunities. I like to say we are happy to put our members to work, so be on the lookout for announcements. ith Congress easing itself in to the fall legislative session, the advocacy team at the Self-Insurance Institute of America, Inc. (SIIA) would like to provide a brief update on our regulatory and legislative activities on behalf of the captive insurance industry this year. Subsequently, SIIA spearheaded comment letters formally requesting that, due to its burden on taxpayers, that Notice 20166-66 be considered as part of several Executive Orders (EO 13789, EO 13777) issued to identify regulatory burdens: It remains our belief that the Notice is a taxpayer burden and should be identified by the Administration as such. Just as an example, a survey of participating SIIA members concluded that the cost to comply with the Notice totaled over $21 million and 122,500 total hours. These numbers far exceed the annual cost to prepare the Form 1120PC federal tax return, which typically ranges from $1,000 to $4,000 a year. In fact, the IRS instructions for Form 8886 estimate that it takes a taxpayer 10.16 hours for recordkeeping and 6.25 hours for preparation of the forms. Similar instructions for Form 8918 estimate that it will take a taxpayer 9.79 hours for completion. These estimates are far below the actual total incurred time by SIIA members of 50.97 hours per captive. Throughout this time, SIIA has been engaged with Congress and Treasury in asking for needed revisions to the Notice. In fact, a growing number of Members of Congress have written letters of concern regarding the Notice due to SIIA member discussions. While not likely to be rescinded, SIIA is strongly advocating for changes to the Notice related to filing and disclosure, including the annual filing requirement, among other things. To accomplish this goal, SIIA has held numerous meetings with the IRS and Treasury on this issue, and dozens of meetings with Members of Congress and their staff. PATH Act SIIA played a crucial role in the ultimate outcome of the Protecting Americans from Tax Hikes Act of 2015 (â&#x20AC;&#x2DC;PATH Actâ&#x20AC;&#x2122;) provisions passed by Congress back in 2015 related to IRC 831(b), which contained a threshold increase to $2.2 million pegged to inflation, as well as restrictions on the use of captives for estate planning purposes. Since that time, we have engaged with the IRS in urging implementation of the new law, as well as to begin the rulemaking procedures outlined in the PATH Act. These efforts were supported by a broad industry wide-stakeholder letter from state captive associations across the country. In addition, SIIA worked with the Joint Committee on Taxation (JCT) in Congress to introduce needed clarifications to the PATH Act, which we feel confident will be included in future tax legislation. These clarifications will ease the implications of the PATH Act on those captives operating in the right way, helping to narrow the scope of the estate planning limitations to those who are truly using it for such a purpose. Tax Reform In the wake of health care reform attempts, Congress has now turned its attention to tax reform, with a general timeline of consideration this fall. This is important to watch pertaining to the treatment of various business deductions and IRC sections related to tax planning. Recently, SIIA was able to sit down with Chairman Brady as he discussed tax reform. While details were not available at that time, it will likely contain a two-part framework that contains historically low corporate and individual tax rates, along with the simplification of the tax code. With the lower overall rates and simpler code, it seems likely an overall corporate tax rate of somewhere between 24-28% may be achieved, though in return many one-off deductions are likely to go to the wayside. A third tax reform bucket includes a reorganization and modernization of the Internal Revenue Service, which will move separately. Congressional leadership continues to believe they will move tax reform throughout this fall, with more details to be filled in through legislation that will be drafted by the Ways and Means Committee. We’ve got your back. Four words that anyone seeking to self-fund healthcare benefits needs to believe, particularly when contemplating the financial risks associated with catastrophic medical events. That’s why we’re firm believers at Swiss Re Corporate Solutions in building strong relationships, understanding exactly what our partners expect of us, and creating innovative ways of fulfilling those expectations. And that’s also why we’ve integrated IHC Risk Solutions into our business. The result is a powerful combination of expertise and capabilities that offers brokers, advisors, payers and their employer clients enhanced value – not to mention extra peace of mind. Now, more than ever, we’ve got your back. We’re smarter together. swissre.com/esl Insurance products underwritten by Westport Insurance Corporation. ome business trips are more interesting than others. Such was my recent visit to Monterrey, Mexico to scout hotel options for SIIA’s 2018 International Conference. I have had the good fortune to be relatively well-traveled but had never been to Monterrey before. Candidly, I didn’t need even know much about this city until it came onto our radar screen as a possible location for next year’s International conference. It soon become clear why smart people were telling me we should take a look. First impressions are always important and Monterrey did not disappoint. It was very easy to get there (about a three-hour direct flight from many major U.S. cities), and upon arrival it was easy to quickly navigate through the city’s international airport and access ground transportation. While I have been working on my Spanish speaking skills, fluency is not within reach at this point so I wasn’t sure how challenging the language barrier would be during my trip. But this turned out not be an issue as there was enough English spoken at my itinerary locations to make communications functional, if not completely conversational. Actually, it was the perfect “Spanglish” mix for my preference. Shortly upon arrival in the city I had a lunch meeting with some leading Monterrey-based hospital executives who provided me an overview of the truly world-class medical facilities that have been developed there and the amazing difference in procedure costs compared to most U.S.-based facilities. This meeting was followed by a tour of one the local hospitals, which was designed to look and feel like an upscale hotel – and they succeeded! Not that I want to be hospitalized, but if I had to be, this was clearly a much better environment than any medical facility I had seen before. As they say, you really have to see it to believe it. food” in the United States. They were right on both counts. While there were some commonalities, I tried several unique dishes on Monterrey and everything was great. Knowing that SIIA members enjoy great eating experiences, Monterrey will not disappoint. While I felt very safe during my entire visit, even at night, I did directly ask my hosts about any drug violence issues in the area -- even though I suspected this may be overblown by the U.S. media – in anticipation of concerns of prospective conference attendees. My hosts assured me that while violence is an issue in some areas of Mexico, Monterrey is a relatively safe city, with the caveat that visitors should take common sense precautions just like in any big city in the United States. Made sense to me. I look forward to returning to Monterrey in April for the SIIA conference and hope to see many association members there. Mr. Ferguson is president & CEO of the Self-Insurance Institute of America, Inc. Detailed conference information will be available on-line at www.siia.org after November 1. Self-Insured Risk Decision Support Analysis Our Self-Insured Risk Decision Support Analysis will present a visualization of the relative risk/reward profiles of different plan structures. Advisors can evaluate a group’s risk and the likelihood of beating a fully-insured benchmark or show clients who are selfinsured the cost impact of proposed changes to their current plan design. Help your clients make educated decisions as to whether their group should self-insure or stay fully-insured. Compare different risk structures when a group is currently self-insured so that an employer can measure the expected impact of different deductibles. This analysis is calculated using Risk Decision Support; a component of Windsor Strategy Solutions’ Health Benefits Consulting Suite used by Reinsurers, Stop-Loss Carriers, and Consulting Actuaries. The data set underlying the software solution consists of more than 10 million commercial lives and over $100 billion in charges billed. M when you consider more than 85% of most groups’ claims are for amounts less than $5,000. At HHC Group, we pursue the maximum available savings – with bulldog tenacity – for Great Dane sized claims down to claims as low as one dollar. In fact, our pursuit of small-dollar claims produces an average of 25% more savings for our clients than they would save otherwise. “Key Facts About Small-Dollar Claims,” at www.hhcgroup.com/KeyFacts. he Affordable Care Act (ACA), the Health Insurance Portability and Accountability Act of 1996 (HIPAA) and other federal health benefit mandates (e.g., the Mental Health Parity Act, the Newborns and Mothers Health Protection Act, and the Womenâ&#x20AC;&#x2122;s Health and Cancer Rights Act) dramatically impact the administration of self-insured health plans. This monthly column provides practical answers to administration questions and current guidance on ACA, HIPAA and other federal benefit mandates. Attorneys John R. Hickman, Ashley Gillihan, Carolyn Smith, and Dan Taylor provide the answers in this column. Mr. Hickman is partner in charge of the Health Benefits Practice with Alston & Bird, LLP, an Atlanta, New York, Los Angeles, Charlotte and Washington, D.C. law firm. Ashley Gillihan, Carolyn Smith and Dan Taylor are members of the Health Benefits Practice. Answers are provided as general guidance on the subjects covered in the question and are not provided as legal advice to the questionerâ&#x20AC;&#x2122;s situation. Any legal issues should be reviewed by your legal counsel to apply the law to the particular facts of your situation. Readers are encouraged to send questions by E-MAIL to Mr. Hickman at john.hickman@alston.com. Lawsuits are focused on Wellness Program compliance. Are you? ore and more employers are implementing wellness programs these days to help improve employees’ health. Properly designed wellness programs provide value to both the employee and the employer. Employees’ health improves and, in return, health plan costs go down and productivity goes up. It is a win-win for all involved. But wellness programs are subject to a variety of complex and often ambiguous federal rules and regulations that make wellness program administration a challenge for even the most astute employer and put inattentive employers who sponsor such programs at risk of liability. Two recent lawsuits highlight the regulatory complexity surrounding wellness programs: AARP v. EEOC and Acosta v. Macy’s. Employers who sponsor wellness programs (or who are thinking about implementing a wellness program) and wellness program administrators should take note of these lawsuits. The AARP lawsuit could impact the future design of wellness programs that offer incentives. The Macy’s lawsuit underscores the need to pay close attention to the wellness program requirements. We discuss both below. the court’s decision. In the meantime, the EEOC is required to file a status report with the court by September 21st with a proposed schedule for reviewing the rules and any additional administrative proceedings. We will have a better sense of timing after September 21. Absent a successful appeal, the court will eventually assess the EEOC’s reasoning and make a decision. The EEOC has significant flexibility under the Administrative Practices Act and the Chevron case to interpret the term “voluntary” under the ADA and GINA but as noted in the court’s memorandum, the EEOC must give a “reasoned explanation for its decision.” Whether the EEOC will succeed remains to be seen. If the EEOC is not successful, then it is possible that wellness programs will not be permitted to offer any incentives in exchange for disability related information, taking a medical exam, or a spouse’s medical history, absent a change in the law by Congress That would drastically change the look of today’s wellness program. Until then, the best we can recommend is to monitor the lawsuit so that you can make appropriate decisions regarding wellness program design when the time comes. If you have not recently reviewed your program to make sure it does comply with the regulations, this would also be a good time to do so. b)	Macy’s impermissibly used the plan assets for its own purpose in violation of the prohibited transaction rules in ERISA Section 406. The HIPAA nondiscrimination violation allegation is interesting because it underscores the DOL’s position reflected in the final HIPAA nondiscrimination rules that you cannot require participants to stop using tobacco products in order to avoid the surcharge. This may seem counterintuitive to many wellness program sponsors. What is the point of having a tobacco cessation program if you cannot require employees to stop using tobacco products, right? But the final HIPAA nondiscrimination regulations, as amended to reflect the requirements of the Affordable Care Act, make it clear that you must offer all who fail to satisfy a health outcome based standard a reasonable alternative regardless of medical necessity. Consequently, if the employee uses tobacco products, he or she is entitled to a reasonable alternative without having to show that a medical condition prevents the employee from stopping. the act of administering the impermissible wellness program resulted in the use of plan assets (i.e. employee contributions) for its own purpose. So what does this mean for employers and wellness program administrators? It means the DOL is taking wellness program compliance very seriously. We recommend that all sponsors and administrators of wellness programs revisit your existing programs to ensure that they strictly comply with HIPAA’s nondiscrimination rules and to make any necessary changes. If you are considering adopting a wellness program, take the necessary steps to ensure that the program complies before you implement it. he importance of personal responsibility for living a healthier life isn’t just a blind spot in many discussions about how to reform the nation’s health care system; it’s also critical to the success of selfinsurance. But many workplace wellness programs struggle to sustain successful health outcomes for participants, which can create an uphill battle for cost containment. Which behavior-modification techniques work best? The answer is largely subjective. Leading industry observers offer differing views on the secret to ending unhealthy habits. They range from improving health care literacy to becoming emotionally invested in the right incentives. But they’re also just a piece of the puzzle. Whatever the case may be, self-insured employers can incorporate any number of these or other approaches into their larger pursuit of better outcomes and lower health care costs. None of the major incentive providers such as Maritz or O.C. Tanner are involved in the employee health and wellness space, he notes. Rather, the industry is chock full of consultants or advisers with a health care background who lack experience in behavioral economics. “That’s why the programs just aren’t designed correctly,” says Doster, who got his start as an industrial psychologist focused on employee safety. Carrots and sticks The most effective way to sustain healthy behaviors is through fun and games – not genetic testing that invades medical privacy or makes people feel guilty about their physical challenges, opines Al Lewis, a seasoned health and wellness expert who founded Quizzify. Everyone loves surprises! Unless they’re hidden costs in your pharmacy benefit plan. With KPP: What you see is what you get. Quality, control, and flexibility with no service upcharges or hidden fees, ever. Get better financial and health outcomes without any surprises. Contact KPP at 800.917.4926 All this from Kroger: A neighborhood name you and your employees know and trust. No Hidden Fees Guarantee Providing comprehensive pharmacy benefits management services since 1993. Don’t let risk take your Health Plan out. Find out how Renalogic’s CKD Management program can significantly reduce medical spend and halt members’ progression to dialysis. For those members in dialysis, Renalogic can save up to 78% off of full-billed dialysis charges, inclusive of fees. Stop by Booth #700 at SIIA's 37th Annual National Educational Conference & Expo! For a FREE Health Plan risk assessment, e-mail solutions@renalogic.com or call (866) 265-1719. Next up is education. Program participants might learn, for instance, why lighting up one cigarette increases the likelihood that another will follow about 10 or 15 minutes later based on biochemical changes within the body, as well as how quitting can reverse the disease process. Motivation follows with the help of a health coach who demonstrates various techniques and simplifies program compliance. In some cases, people will snap a colorful wristband with a motivational message inscribed on it every time they crave a cigarette or have an ice cream sundae, while smokers will substitute sugarless gum or toothpicks assembled in a box that looks like a pack of cigarettes. Another critical element is enjoyment, which may include online challenges or wearable devices, as well as insightful or funny health coaching sessions. It’s followed by a maintenance stage, which may include wallet cards with messages reminding participants of proven program techniques designed as relapse prevention. There’s also unlimited inbound phone call accessibility through a 24-hour type hotline. “We’re able to demonstrate pretty significant quit rates with tobacco cessation,” reports Powell, whose program success is 50% or higher. He says weight loss is difficult to measure objectively and has higher recidivism than other areas of behavior change, while stress management tends to be highly subjective. Still, 82% of employees he has studied say their stress level has decreased. incentives going to help somebody stay off cigarettes or continue to lose weight?” Powell asks. “Maybe, but then you have to keep on giving the incentive. If you withdraw the incentive, there’s a tendency to go back to the previous behaviors.” Another danger associated with rewards is that employers could squander their investment in employee health and wellness. Lewis acknowledges that crash-dieting contests represent a way to get the competitive juices flowing, but he says it’s “in exactly the wrong direction.” That’s why his company, which questions how conventional wellness can generate any credible return on investment, pays people to play trivia. Rather than deny human nature in an attempt to influence short-term changes, he seeks to channel their fascination with trivia and, in the process, permanently improve health literacy. While people may be tempted to cheat on their diet and risk the shame of being found out, Quizzify actually encourages cheating with health literacy trivia to help people retain valuable information that will lead to healthier living. The hope is that they’ll also be deeply motivated by the fun factor. As part of his crusade to instill wellness program participants with helpful knowledge, Lewis also rails against the “use of ridiculously over-utilized, inappropriate medical services” such as scans, stents, infusions and hysterectomies. “You should be able to reduce your use of unnecessary medical care through health literacy, and you should be able to find people who are at risk,” he says. The key is to follow U.S. Preventive Services Task Force guidelines, Lewis says. With regard to specific health screenings, the suggestion is that women receive a pap smear every three years, while colonoscopies happen every 10 years after age 50, glucose and cholesterol levels are checked once until age 35 as a male and 45 as female, then every few years afterward. “Self-insured employers tend to obsess with making employees go to the doctor when they’re not sick,” he observes. “The literature says it’s a complete waste of time and money.” His mnemonic in terms of general medical check-ups: two in your twenties, three in your thirties, four in your forties, five in your fifties and annually after that. Industry pioneers One self-funded entity that’s leading the way on health literacy is the city of Chelmsford, Mass., which Lewis says has established an unrivaled culture of health and experienced a significant uptake on wellness. “It’s the best success I’ve ever seen in a municipality and close to the best I’ve ever seen in a selfinsured entity,” he reports. Others include the Hilliard City School District and PTA Plastics, whose Employee Stock Ownership Plan he says plays right into the internal pressure to succeed faced by employers that pay or adjudicate their own medical claims. “Self-insured companies stand to benefit the most from behavior-change activities because it’s money right back in their pocket,” adds Powell, who says a medical self-care program also has built-in incentives that can complement workplace wellness. Fiat Chrysler Automobiles, which self-insures its health plan, has built a “very active” wellness program over the past 20 years, he says, noting “there aren’t a lot of companies that have shown that degree of consistency with wellness for such a long period of time.” The program’s efficacy drove its recent recognition by the National Business Group on Health. Powell also believes Taft-Hartley funds represent another leader in wellness and medical selfcare in the self-insured community. These industry pioneers also have an opportunity to convey the sheer power of pricing out medical services that will help move the needle on wellness. “In health care, unlike anything else, there’s no correlation between what you pay and the quality of care,” Doster opines. “In fact, oftentimes the cheaper the care the higher the quality of the provider because they do so much volume.” He says steering wellness participants to the right outpatient facility for a surgical or imaging procedure, or providing the lower-cost generic or therapeutic equivalent to an expensive brand-name prescription drug, could translate into big savings for self-insured companies. A heavy manufacturer that has been in business for nearly a century saved more than $5 million in the first two years of an employee health and wellness program, Doster says of a self-funded client. The granular approach included accruing reward points for routine surgeries performed at facilities with the best track record on cost and quality, as well as weaning diabetics off their medication. It also featured preventive medicine. An employee was immediately taken to the hospital following a biometric screening that uncovered serious hypertension. “When they looked historically at the claims that they had vs. the claims they have now,” he happily says, “there’s no comparison.” Bruce Shutan is a Los Angeles freelance writer who has closely covered the employee benefits industry for nearly 30 years. isk Purchasing Groups (RPGs) rarely make the news but they are one of the most utilized forms of self-insurance in the United States. RPGs, like risk retention groups, were enabled by the Liability Risk Retention Act in the mid-1980s. The federal law allows for operation across state lines and has become a convenient way for groups with similar risk to purchase bulk liability insurance. During the first 15 years of their existence RPGsâ&#x20AC;&#x2122; numbers fluctuated widely. According to the Risk Retention Reporter, a monthly journal that has monitored RPGs since 1987, during the last decade, RPG numbers have been climbing and are set to break a record in the coming months. A risk purchasing group is a self-insurance entity organized solely to purchase liability insurance for individuals or organizations that share similar liabilitiesâ&#x20AC;&#x201D;physicians purchasing medical liability, insurance agents purchasing professional liability. RPGs typically operate on a multi-state basis to purchase insurance coverage as enabled by the Liability Risk Retention Act (LRRA). The LRRA preempts various aspects of state regulation and extends the preemptions to PG members and also to their insurers, as well as to agents and brokers or others representing the PG. to meet the needs of RPG members. RPGs can also be used for the cross-selling of other products and services. What’s So Great About RPGs? RPGs have the ability to obtain tailor-made coverage for its members no matter which state they reside in. With almost 1,000 established RPGs, this alternative risk transfer (ART) mechanism insures many different types of groups. Trade associations, unions, franchise owners, business groups, and physicians are only some of the types of groups that obtain liability insurance through RPGs. The ability to obtain customized insurance for its members is one of the key benefits of belonging to a risk purchasing group. With the bargaining power provided by group purchase, the RPG is typically able to secure broader coverage and better policy terms while using their group purchasing power to negotiate more favorable rates insurers than would be possible on an individual basis, or even in some other kind of group-buying arrangement. An advantage for insurers of RPGs is that they can carve out profitable market niches and can realize economies of scale which gives them a greater ability to compete in the marketplace. Agents and brokers, in helping insurance buyers in developing insurance programs that are tailored to their needs and provide relevant coverage, have a better chance of success in a competitive marketplace. State over-regulation, complex business arrangements, set liability parameters, and market volatility can be challenges for RPGs and their related companies. Despite the intention of the LRRA, RPGs, similar to risk retention groups, face burdensome regulation in non-domiciliary states. RPG managers, for 30 years now, have been vocal in their criticism of excessive regulation in the shape of forms, fees, and taxes from non-domiciliary states. The LRRA intended for risk purchasing groups to only have to give notice to states where they would be doing business and to be regulated only by their state of domicile. The Risk Retention Reporter publishes a quarterly update on the state of risk purchasing group state requirements in the Purchasing Group Users’ Handbook. The most recent update shows that 31 states require fees from RPGs doing business in their states, with 10 only requiring initial fees and 21 requiring both initial and annual fees. Fees range from $25 to $500 with most states requiring $100 to $200 in initial or annual fees. Taxes on premium, which in most cases is paid by the insurer, range from 0.5% to 6%. Another detraction from risk purchasing groups is the fact that they are limited to only offering liability insurance. If members require more coverage than just liability—such as property and workers’ compensation—RPGs utilize cross-selling arrangements. While a perfectly adequate work-around, it contributes to another issue—complex business arrangements. As RPGs involve at least three key parties—insurance buyers, insurance companies, and agents/brokers—it is essential that all parties understand, agree to, and perform their respective roles and responsibilities. If any of the parties do not fulfill their part of the operation, it could undermine the whole enterprise. Ranking of top stop loss providers in the United States based on yearly premium as of 03/16/2017 by MyHealthGuide Newsletter: News for the Self-Funded Community, and does not include managed health care providers. Enrolling providers, maintaining compliance and managing the process can be time consuming and complicated. With ECHO, it doesnâ&#x20AC;&#x2122;t have to be. elf-insured employers that have long fretted about pharmaceuticals representing the fastest-growing portion of their group health plan costs often rely on drug formularies to manage that soaring tab. The same can be said about applying this tool to self-insured workers’ compensation programs. When such formularies dovetail with utilization review processes, they give claims examiners an initial screening for prescribers to make more prudent selections. “All the states that have adopted a formulary have seen dramatic savings in their work comp system,” reports Paul Papanek, M.D., an occupational physician in Los Angeles and member of the American College of Occupational and Environmental Medicine (ACOEM) Board of Directors, which has played an instrumental role in promoting this approach. Savings have surfaced in largely three areas: using generics as an alternative to brand-name drugs, as well as reducing potentially dangerous opioid prescriptions and policing “compounded” drugs. Papanek, who’s also a clinical faculty member at the University of California at Irvine, believes the magnitude for more of the right drugs being prescribed is huge, especially for opioids, and can generate double-digit cost savings. One avenue is to impose limits on how long certain opioid prescriptions can be renewed. The use of work comp formularies also has the potential to decrease administrative costs. States that have pioneered this approach are reporting significant improvements in the efficiency of authorization approval for at least routine drugs, Papanek notes. “If something’s not on the formulary, then you’ve got to go through a UR process,” he says. While some cases will require special attention, he says “the hope is that the current formulary will handle 90% to 95% of the decisions about prescription approvals.” What states are doing A number of states, including Texas, Nevada, and Washington experienced dramatic cost savings after implementing formularies for their state workers’ compensation systems. Earlier adopters of this approach include Texas, Oklahoma and North Dakota. There are roughly a dozen such states now using work comp formularies with another four or five in the pipeline, according to Papanek. Fifteen state work comp programs have adopted their own specific clinical guidelines. He says the International Association of Boards of Compensation, which tends to represent state work comp boards, has embraced the use of these formularies. DOL report sounds warning A 2016 report by the U.S. Department of Labor (DOL) noted that state-run workers’ compensation programs are “the only major component of the social safety net with no federal oversight or minimum national standards.” As a result, the research expressed concern that inadequate benefits could impoverish injured claimants. Among a list of policy areas that the report labeled deserving of exploration: “Whether to develop programs that adhere to evidence-based standards that would assist employers, injured workers, and insurers in addressing the long-term management of workers’ disabilities to improve injured workers’ likelihood of continuing their productive working lives.” Paul Papanek, M.D., an occupational physician in Los Angeles and member of the American College of Occupational and Environmental Medicine Board of Directors, is skeptical about any meaningful involvement of the DOL, noting the department’s reluctance to speak about state work comp systems for at least 30 years. “They feel like it’s not their bailiwick, and they’re going to stir up trouble if they do,” he explains. Reading the tea leaves Although the Golden State is considered a thought leader in health and safety as well as other areas such as environmental regulation, Papanek describes the state’s work comp system as cumbersome, litigious and bureaucratic. But by recently mandating a work comp formulary, he believes it’s finally heading in the right direction. The hope or expectation is this new formulary will serve as more of a quality improvement tool than reference book on the shelf. California’s legislature “could read the tea leaves as well as anybody about three years ago and saw the data from many other states, including Texas and Ohio, that had put a formulary in place and saw not just cost savings, but improvement in quality because it became harder to write for the wrong drug,” he explains. About 10 years ago, Papanek says ACOEM decided that existing treatment guidelines governing anything from low-back pain and ankle sprains to certain toxicological exposure required a rigorous, evidence-based determination in the medical literature of what works. The group has since published its third edition of guidelines, which fill hundreds of pages. “Some people don’t like them because they get into the weeds, but they’re very good,” he exclaims. The overarching goal, of course, is to determine which medications have been shown to hasten a claimant’s recovery. That could mean assessing the value of Motrin, ibuprofen or OxyContin to treat low-back pain. As part of this effort, the guidelines also gauge the efficacy of physical therapy or certain PT approaches working better than others, number of appropriate office visits to treat various maladies, etc. “We agree with much of what Dr. Papanek is saying about the importance of having evidence-based guidelines in place for treating workers’ compensation injuries,” observes Ron Nassif, VP of PRIME at Keenan & Associates, an industry-leading California insurance brokerage and consulting firm for health care organizations and public agencies. in place that have reduced pharmacy spend to $3.2 million from about $8 million, he cautions that legislation is still needed to support these efforts. “There comes a point in time to put a stop to the abuse patterns and circumvention of the fee schedule, and to guide providers to more appropriate prescribing,” according to Nassif. Editor’s Note: This article represents “commentary” and represents views of the authors. We welcome other opinions on the subject. by Adam V. Russo, Esq. 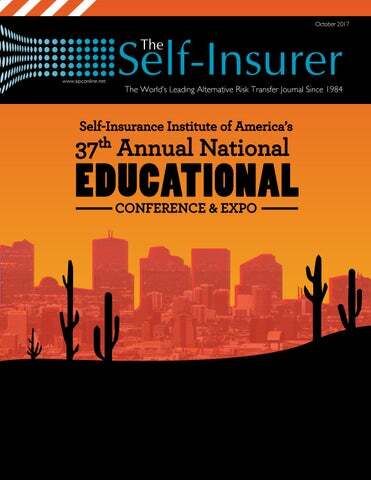 am proud to say that I have been involved with the Self-Insurance Institute of America (“SIIA”) for more than half of my lifetime, and I hope to continue to be deeply immersed in it, and the industry it represents, for the rest of my career. I have learned so much from its members and leaders, and from it I have gained hope for the future of our industry. I believe it will continue to evolve, even as we face obstacles from all fronts. Yet – even as I gain hope for the future of our industry, I also witness people who are not grasping the opportunities presented to them, and I worry. We all go to the conferences, we all here the speeches, we all read the articles, we all hop on a webinar or two and for the most part what we hear is informative yet reactionary. Presenters, panelists, and experts dutifully tell us what to do when certain events occur or things happen to us and our clients. We are advised how to get out of sticky situations or how we can make a quick buck taking advantage of others’ despair. We are told how to make the best of the situation we find ourselves in. To me, it gets old and rather frustrating. Why isn’t anyone telling us to create a new situation, a new paradigm shift, a new environment? We see glimpses of it when we talk about things like reference based pricing, medical tourism, carve outs, and other out of the box methodologies, but I think it’s time for a bigger leap. What we aren’t being told or hearing from our industry at large is how we can shape the future of health insurance and self-funding. Too many brokers, HR representatives, lawyers, administrators, and carriers are sitting back, fat and happy, working within the borders of the status quo. Anyone or anything that tries to knock these walls down is immediately branded as a disruptor or a menace to our industry. We have so many entities in health insurance that are making so much money ensuring everything just stays the same, that we are all forgetting about the one entity that matters most in all of this…the clients – the actual employee benefit plans and their hard working employees whose money we are spending. Unfortunately, too often they are an afterthought, if they are thought of at all. and so do a vast majority of TPAs, despite the fact that they will never get a better rate than the large carriers, will never be able to cap payments below the network rate based on plan document imposed limits, and will continue to run afoul of stop-loss carriers seeking to apply their own caps on what is payable. This is just the beginning. As we try to win a game against the entities that wrote the rules, eventually we’ll either recognize the futility and create our own game, or we’ll fail. Focus on the actual overall claim spend rather than claim discounts. Focus on innovative and personalized plan language that matches the needs of the employee population, not some cookie cutter plan design that makes auto adjudication easier to do. The bottom line is that whatever we do, do it with the realization that we are spending someone else’s hard earned money. Every day workers are paying their colleagues claims with the cash out of their own pockets, so don’t just accept a 10% discount; fight for that employee and their money by actually scrutinizing the charges. Act as if that truck driver’s pay check is your pay check. Not All Self-Funding Is the Same It’s not easy to change the status quo. It’s certainly tough to do across all of your clients. That’s why you should start small. It’s time to step up to the plate and identify one plan that you can empower. As many of you have heard me say before, not all self-funded plans are the same. TPAs need to do more to show brokers and employers that by working with them, the plan administrator can have control and create savings; they are actually at the college level of self-funding. Instead of purchasing prepackaged plans, employers and brokers want to modify plans to fit the needs of their employees and clients. An employer with a large percentage of older employees may want to focus on chronic pain benefits, whereas an employer with a younger workforce might adapt the plan to cover family planning or incentivize these younger employees with wellness and preventative care measures as we have done internally. opportunity to have more success than ever imaginable but it takes work - lots of it. If you put the work in, the positive results will come pretty rapidly. The actual claims cost per employee in our organization is $5,858 per year, compared to the norms of around $12,000 for a self-funded plan in our region. This is front page sales material that every TPA should jump on instead of talking about the network discount that you cannot come close to matching. By the way, we utilize a blue cross network for claims but the reason our plan is successful has nothing to do with network discounts. What we have done successfully is turn our patients into health care consumers. To get to this higher level, and make “oddities” the “status quo,” we need fresh eyes and new blood in our industry. We need a new generation to look to self-funding as their industry of choice; fertile ground to try new methods for plan creation and administration. This won’t be easy and will take years to accomplish but the time is now to get these young professionals on board, engage with the leadership at SIIA, and see the new processes begin to take shape. Getting Younger People Involved in Our Industry Let’s face it – our industry is getting older. The term self-insurance doesn’t really attract anyone except for those of us who have experience, or truly recognize the opportunities it presents for innovation. For those of us who can see how advanced and exciting this industry is that it truly is the “secret” weapon against the rising cost of healthcare; that it is the key to providing the best care for the lowest cost to this nation’s workers – that is attractive. being actively challenged, small wonder that our industry is engaged in more pivotal cases than any other. when it comes to actual claims data, scoring mechanisms to identify future claims risks, and overall plan design options. There are many new litigation issues ranging from balance billing to fiduciary responsibility. In fact, Obamacare is still a rather new law when you think about it. The number of legal inquiries we get from the industry just proves that there is so much still unknown in the self-funding universe and this should be viewed as a selling point to recruit the best legal minds and talent. As we battle physicians and facilities over unjust charges, we need legal acumen to change the industry for the better for our clients. It is vital that we as an industry create an educational track developed specifically for young professionals that must address both technical industry information, as well as career development content, including why the self-funding industry compares favorably to other professional fields, in particular the major healthcare carriers. An Integrated Healthcare Solution Focuses on Member Care and Cost Savings It’s all about you — cost savings and member care that’s always on and meets you where you are. future and to preserve and grow our interests both in our lines of business and the future protection of our livelihoods in Washington DC. Self-Funding is Growing We are in a booming business sector right now and the statistics prove that. The Employee Benefit Research Institute stated in July 2016 that the percentage of private establishments offering health plans (at least one of which is self-insured) has increased from 28.5% in 1996 to 39% in 2015 (a 36.8% increase). Between 2013 and 2015, the percentages of companies offering health plans with at least one self-insured plan has increased for mid-sized companies from 25.3% to 30.1%(a 19% increase); and for small establishments from 13.3% to 14.2% (a 7% increase). Similarly, the percentage of health-plan-covered workers enrolled in self-funded health plans has increased from 58.2% to 60% (a 3% increase) from 2013 to 2015. The largest increases in self-funded plan coverage among covered workers have occurred in establishments with 25-99 employees and with 100-999 employees. Over this same period, the portion of large employers (those with 500 or more employees) offering health plans reporting they self-fund at least one plan has increased from 71.6% in 1996 to 80.4% in 2015. Overall, 63% of employers are fully or partially self-insured, compared to only 44% in 1999. As more employers turn to self-funded health plans for flexibility and cost control, health insurance companies are tweaking their business models to adjust to what we are doing. They do not want us to take away their business and if anything, they want to take our clients away. At AmWINS Group Benefits our team of specialists wakes up every morning committed to bringing your team innovative solutions to the opportunities and challenges you and your self-funded clients face. Thatâ&#x20AC;&#x2122;s the competitive advantage you get with AmWINS Group Benefits. Life’s Risky.TM Choosing Sutton isn’t. A self-insured approach to employer medical plans can be a cost-effective alternative to a traditional group policy. But if claim amounts exceed what was forecasted, a business can face severe financial strain, possible lawsuits and even bankruptcy. Founded in 1978, Sutton Special Risk has grown into a premier MGU providing Stop Loss, Accident & Health, Life and Contingency products and services for a diverse range of clients worldwide. Our consultative approach, underwriting expertise and attention to service enable us to respond quickly and effectively to your clients’ needs. Attempting to beat them at their own game will not happen. They have the networks; they have the bargaining power with the physicians and the hospitals. As self- funding continues to be more popular among larger employers, the carriers will do what they need to do to keep these clients. Every client I speak to states the same thing. They have never been so busy or have had so many prospects. The opportunity to create a permanent change in the insurance world is now. Let’s embrace it. YOUR CARRIER SHOULD HAVE A HISTORY OF FINANCIAL STABILITY. How does 155 years sound? analyze claim utilization and be creative with benefit features that are targeted to improve the overall health and well-being of the group. TPAs need to explain to the broker community that their hands are tied when it comes to curbing healthcare spend in their current carrier environments. The only way to have claims freedom and allow the employer to truly reduce their risk and overall claim spend is by maintaining control. That’s the message – that’s the flyer – that’s the sales opportunity. We all need to take a look in the mirror and decide what we truly care about when it comes to health care. If lowering the overall cost isn’t your first answer, in my opinion, you are doomed to failure. Until self-funded plans, stop loss carriers, third party administrators, brokers and plan members are all aligned on lowering claims costs nothing will change. By having skin in the game and rewarding patients with a share of the claims savings, your plans will see results. It’s contagious around our office as people talk about the savings checks they have received. Even the small stuff can made a difference as not only do the dollars matter, the change in future behavior is equally or more important. The overall advantages to employers with customized plan design approaches must be spelled out constantly. Whether we are talking about carve out programs, direct contracts, incentive plans, wellness options, cost savings opportunities, and steerage initiatives, multiple plan design mechanisms are the Achilles heel of the carrier world. Let’s make a pact to focus our marketing and sales efforts on actual claim spend versus the average discounts on charges we cannot control. Our ability to negotiate claims, identify fraud, overpayments and abusive billing practices, and use cutting edge technologies to identify savings opportunities are all huge advantages. We can prosper by being disrupters so let’s get loud. Adam V. Russo, Esq. is the Co-Founder and Chief Executive Officer of The Phia Group LLC; an experienced provider of health care cost containment techniques offering comprehensive claims recovery, plan document and consulting services designed to control health care costs and protect plan assets. The Phia Group’s overall mission is to reduce the cost of plans through its recovery strategies, innovative technologies, legal expertise, and focused, flexible customer service. Weâ&#x20AC;&#x2122;re invested in the people behind the numbers. When you win, we win. When you work with Pinnacle, we start by getting to know your organizationâ&#x20AC;&#x2122;s business goals, geographic and industry mixes, risks and corporate culture. You can trust that our consultants will provide you with the highest levels of professional expertise and service. We will communicate with you in your language, not ours. The result is a true partnership to help guide you through the available options and make better business decisions. We believe in the importance of relationships, not transactions. SIIA Diamond, Gold, and Silver member companies are leaders in the self-insurance/captive insurance marketplace. Provided below are news highlights from these upgraded members. News items should be submitted to Wrenne Bartlett at wbartlett@siia.org. All submissions are subject to editing for brevity. Information about upgraded memberships can be accessed online at www.siia.org. For immediate assistance, please contact Jennifer Ivy at jivy@siia.org. If you would like to learn more about the benefits of SIIA’s premium memberships, please contact Jennifer Ivy and jivy@siia.org. Artex Risk Solutions is thrilled to announce that they received the 2017 US Captive Review Award for Captive Management – Group Captives. Recognized and judged by a group of peers within the industry, this serves as a wonderful affirmation of the work that the team does for clients across the United States. This is the second year that Artex has won the award, which was previously given to them in 2015. “I am deeply honored to be recognized amongst such a high caliber of industry peers. Each of us encourages development, awareness and integrity within the captive and alternative risk industry,” said Giles. Vermont. WellNet’s Fall Broker Revolution Tour is coming to a city near you. This tour is for brokers and consultants whose clients are tired of the carrier lip service. Already Working in Healthcare About QBE QBE North America, an integrated specialist insurer, is part of QBE Insurance Group Limited, one of the largest insurers and reinsurers worldwide. QBE NA reported Gross Written Premiums in 2016 of $4.6 billion. QBE Insurance Group’s 2016 results can be found at www.qbena.com. Headquartered in Sydney, Australia, QBE operates out of 37 countries around the globe, with a presence in every key insurance market. The North America division, headquartered in New York, conducts business through its property and casualty insurance subsidiaries. QBE insurance companies are rated “A” (Excellent) by A.M. Best and “A+” by Standard & Poor’s. Additional information can be found at www.qbena.com, or follow QBE North America on Twitter. WellNet Healthcare Plan WellNet gives businesses and brokers the data, tools, and people necessary to make better, more informed decisions regarding their healthcare options through Level-Funded Health Plans and integrated Medical, Rx and Population Health Management. Contact Keith Lemer, Chief Executive Officer, at 800-8084014, klemer@wellnet.com and visit www. wellnet.com. workers’ compensation premiums go down over time. It’s a win for the insured, the agent and Synergy. One key to success for Synergy is that they consistently look for feedback. With a net promoter score of +83 their clients are more satisfied than Costco, Nike or Coca-Cola. Net promoter score asks clients how likely they are to refer a friend to the business. Apple ranks at an +89 score. Eric Brown, CFO of Synergy Insurance Company, had this to say about their success: “We are so proud at Synergy Comp of our engaged employees and valued agency partners to achieve this prestigious award for the second year in a row. These results are a testament to the culture at Synergy Comp and embracing our mission of delivering promised results through commitment and continuous improvement.” If you are interested in working for a growing company that cares about their team, consider Synergy Comp Insurance Company. They offer a great team environment, excellent benefits and opportunity.You can find open opportunities on their career page. Manage the risks of self-funding. AIG’s Group Benefits business has decades of experience in helping companies manage the risks of self-funding through stop loss, specified disease organ transplant, group captive, and Taft-Hartley solutions. Learn about all the ways AIG’s Group Benefits business is here for you. Talk to one of our representatives or visit us online at aig.com/us/benefits. Self-funding your health plan is a long and winding road. For more than 40 years, Symetra Life Insurance Company has helped brokers, employers and administrators navigate and protect their self-funded medical plans. Whatever changes are on the horizon, we’ll be here to guide your path. We helped pioneer the medical stop loss business, and we’ve been through every twist and turn along the way. When it comes to stop loss, we don’t just know the road, we helped write the map. To learn more, visit symetra.com/stoploss. Gold Members Health Care Management Administrators and McKesson Health Solutions Have Become SIIA Gold Members The Self-Insurance Institute of America, Inc. (SIIA) announced that Health Care Management Administrators and McKesson Health Solutions have upgraded to SIIA Gold member status, confirming their leadership positions within the self-insurance marketplace. This latest membership announcement is part of an ongoing strategic initiative to increase membership support of the association so that it is better positioned to protect and promote the business interests of organizations involved in the self-insurance/captive insurance marketplace. Upgraded members (Silver, Gold and Diamond) receive a variety of additional membership benefits. Details can be accessed on-line at www.siia.org, or by contacting SIIA Membership Director Jennifer Ivy at jivy@siia.org. Learn more about McKesson Health Solutions at www.mckesson.com and Health Care Management Administrators at www.accesshma.com. Affinity to Administer Benefit Programs The Union Labor Life Insurance Company (Union Labor Life) has selected AGIA Affinity to provide administration services for its portfolio of individual and group life and health supplemental products. Founded more than 90 years ago, Union Labor Life provided union members and their families the insurance protection that was often unavailable to them in traditional insurance marketplaces. The company continues to honor its legacy by providing an unparalleled combination of insurance expertise and experience to the union workplace. Almost all of the industry’s leading company’s, including McKesson Health Solutions, will be represented at SIIA’s upcoming National Conference & Expo, scheduled for October 8-10, 2017 in Phoenix. Event details can be accessed on-line at www.siia.org, or by calling 800/851-7789. About Ullico The Ullico Inc. family of companies provide insurance and investment solutions for labor organizations, union employers, institutional investors and union members. Founded 90 years ago, the company takes a proactive approach to anticipating labor’s needs, developing innovative financial and risk solutions and delivering value to our clients. Our products are tailored to promote financial security and stability for American workers. The Ullico Inc. family of companies includes The Union Labor Life Insurance Company; Ullico Casualty Group, LLC. ; Ullico Investment Company, LLC. ; and Ullico Investment Advisors, Inc. For additional information, visit www.ullico.com. It is with great sadness that we report the death of Armor Killingsworth of Palm Desert, CA. Armor served on the SIIA board and the publications committee for many years. At 94 years of age he just may be the last of the greatest generation to have served SIIA. He piloted a B24, commanding a crew of 11, through many missions in the Pacific. He was appointed by General Macarthur to an all officer multi service unit to liberate U.S. personnel from Japanese prison camps. A consummate gentleman with a giant personality and known for his sense of humor, he brought to the board his strength of character and purpose that was invaluable to SIIA in its early years. 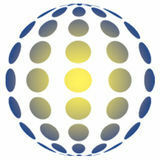 Armor owned a very successful Third Party Benefit Administration company in California. He served on various boards, including Best Life Insurance Company, a leading excess insurance carrier. Find out what Fully Integrated Healthcare Cost Management can do for you! Visit us at Zelis.com Copyright 2017 Zelis Healthcare. All rights reserved. High-Dollar or Dialysis claim? We can help. EthiCare saves claim payors money. Period.